A bold new adventure awaits! Our heroes, LYNX and his sister, OCELOT, join the super team known as The HERO SQUADRON…and they are late for their first meeting. Maybe these delays are because of SUPER VILLAINS! Oh no! Looks like our heroes may have work to do before they even join the team. Will these cat-heroes fit in with the members of the HERO SQUADRON? 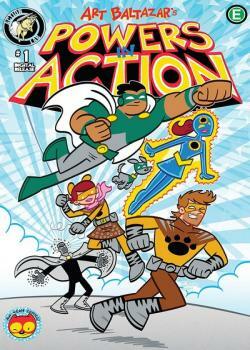 Join us for this new SUPER HERO DIMENSION of the AW YEAH UNIVERSE told by famous cartoonist ART BALTAZAR!